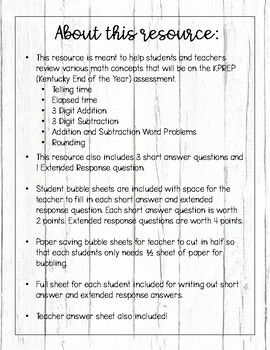 •This resource is meant to help students and teachers review various math concepts that will be on the KPREP (Kentucky End of the Year) assessment. 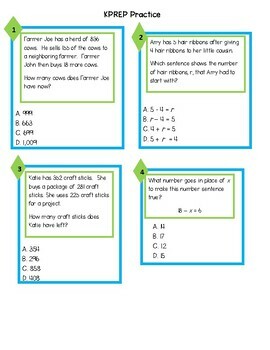 •This resource also includes 3 short answer questions and 1 Extended Response question. 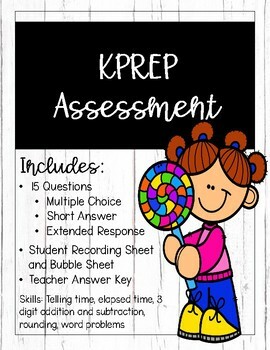 •Student bubble sheets are included with space for the teacher to fill in each short answer and extended response question. Each short answer question is worth 2 points. Extended response questions are worth 4 points. •Paper saving bubble sheets for teacher to cut in half so that each students only needs ½ sheet of paper for bubbling. •Full sheet for each student included for writing out short answer and extended response answers. 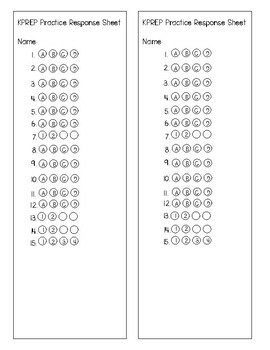 •Teacher answer sheet also included!